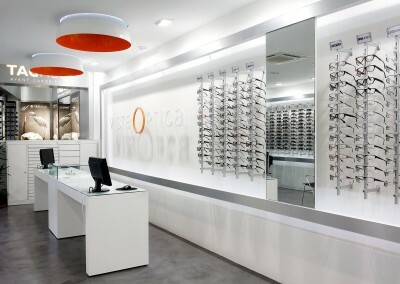 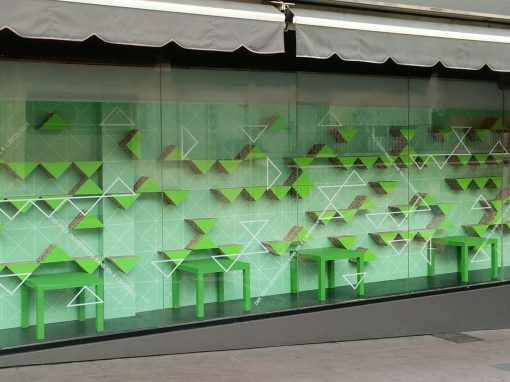 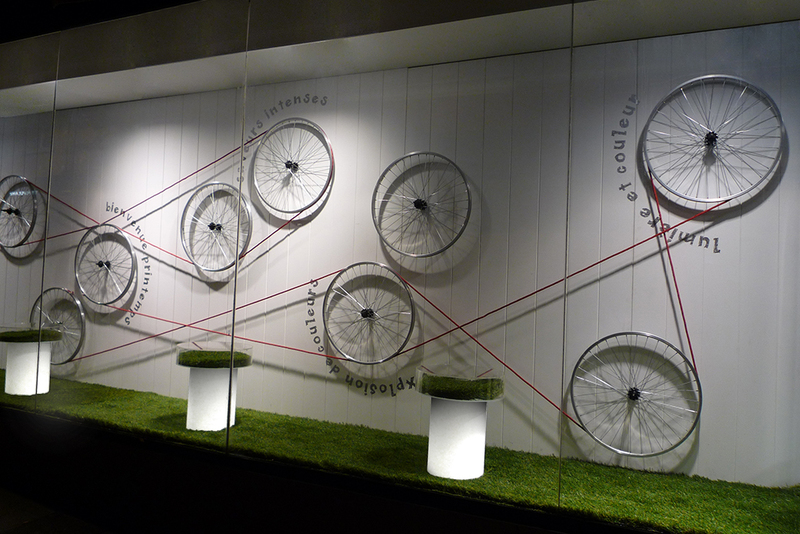 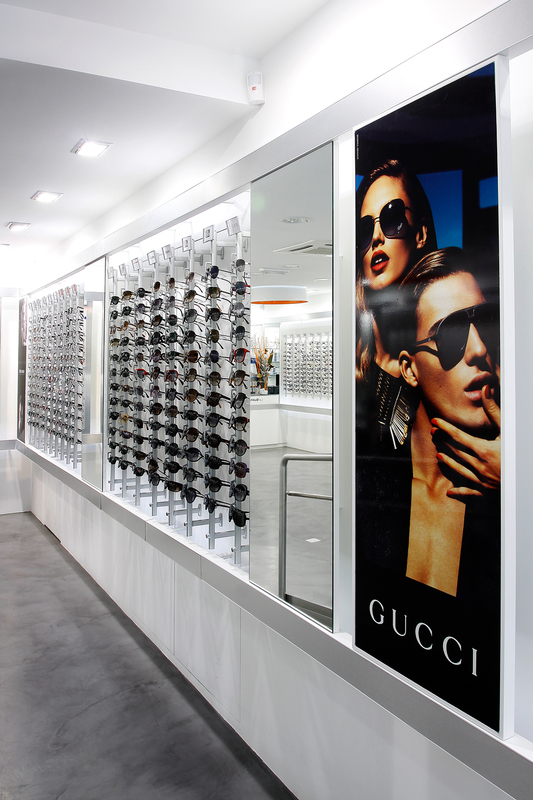 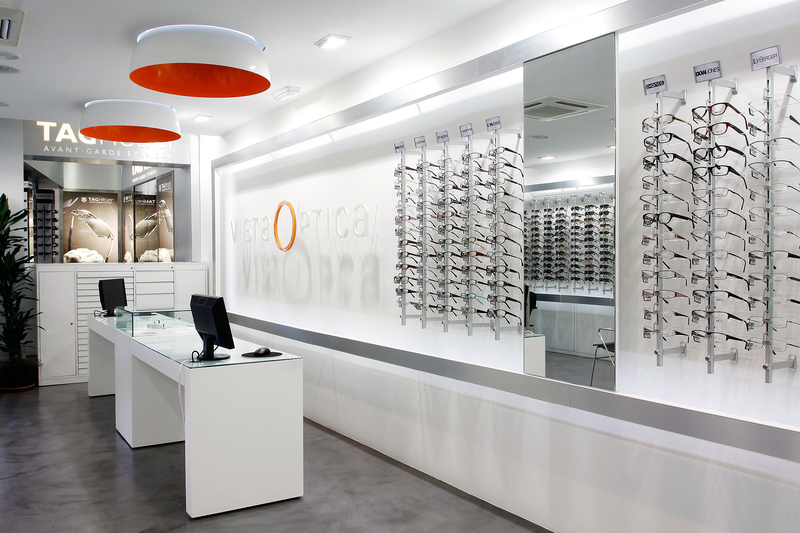 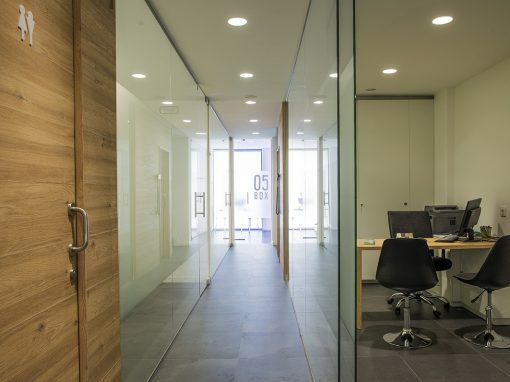 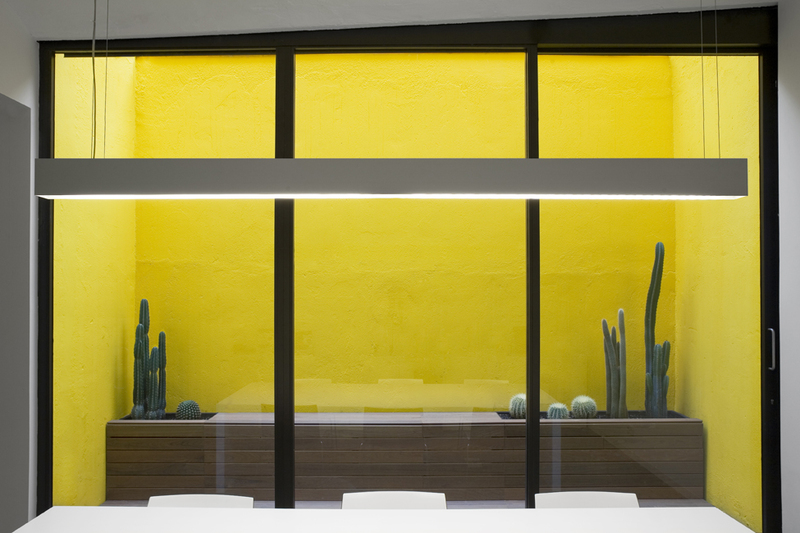 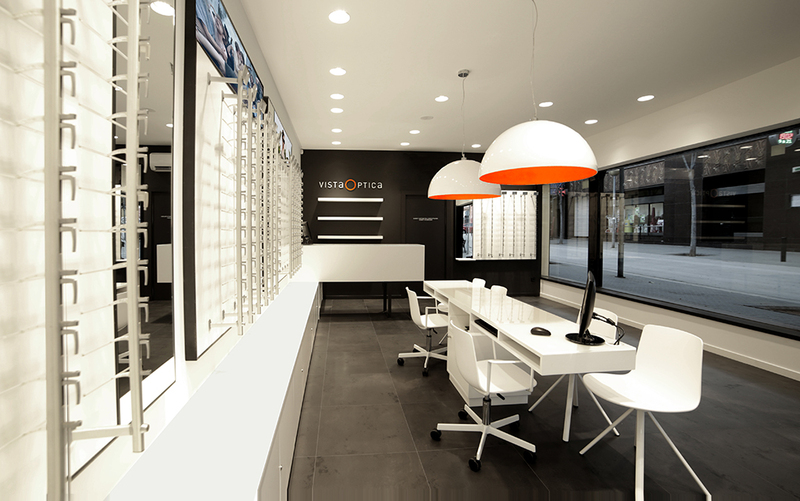 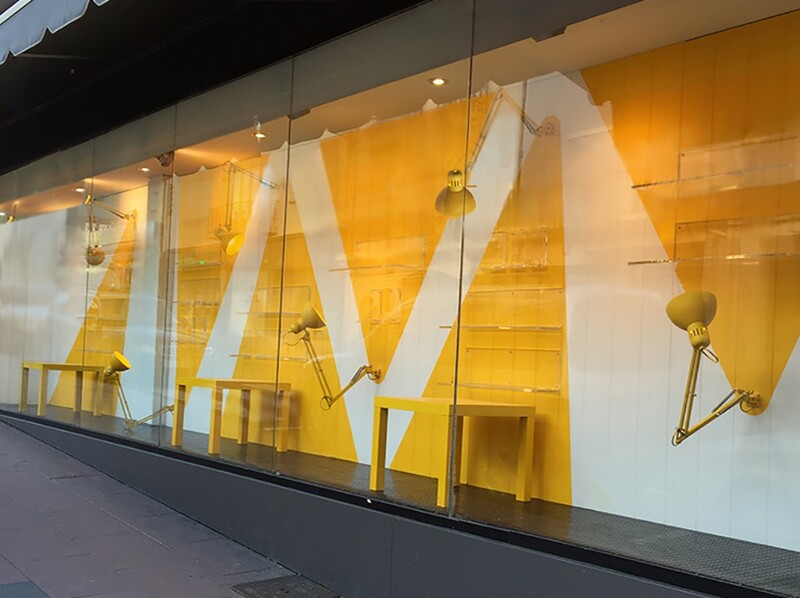 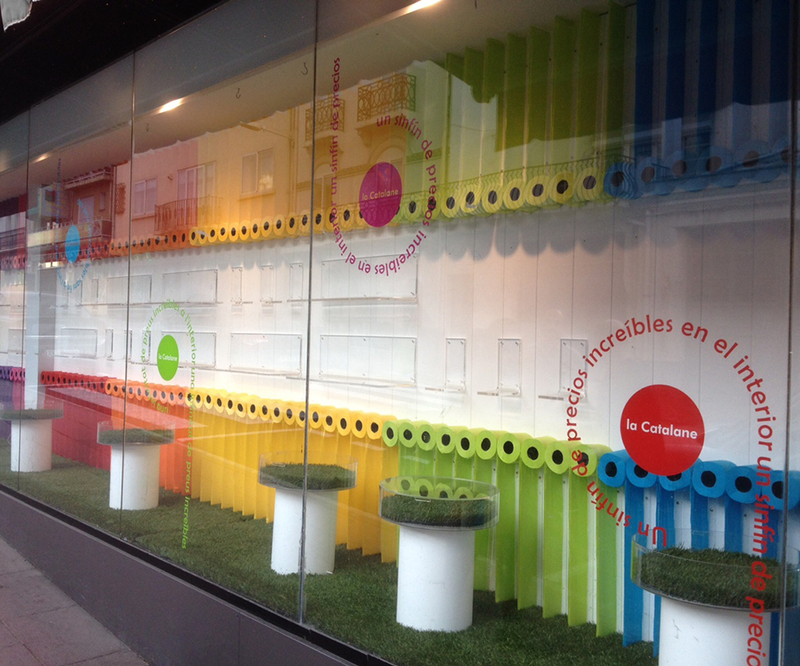 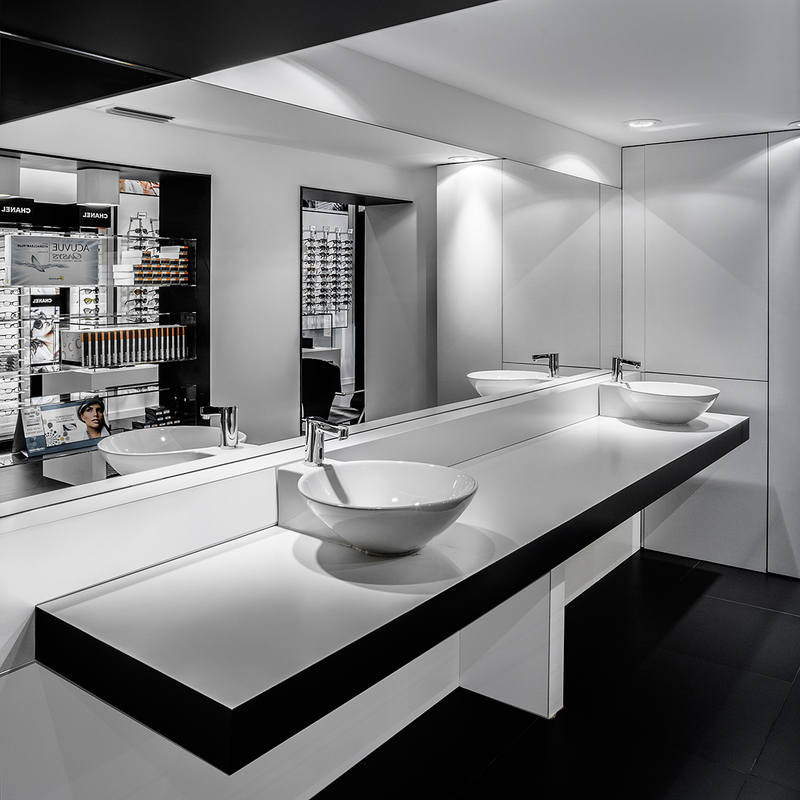 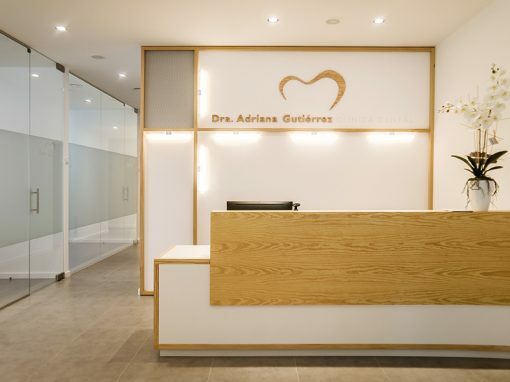 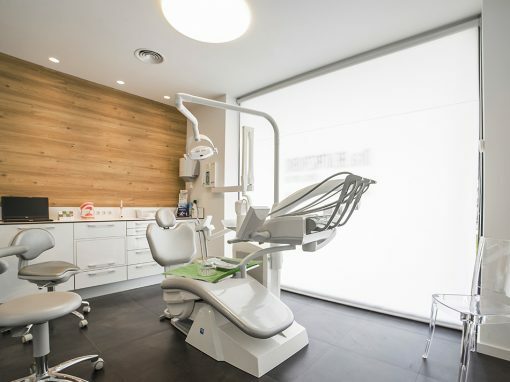 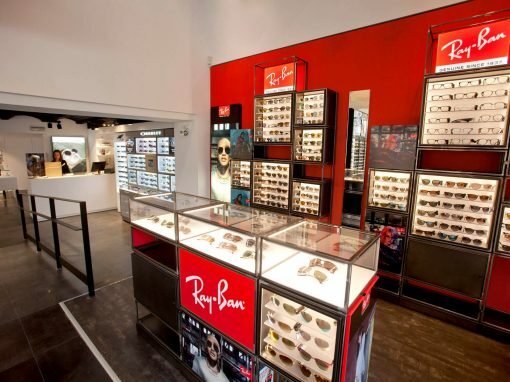 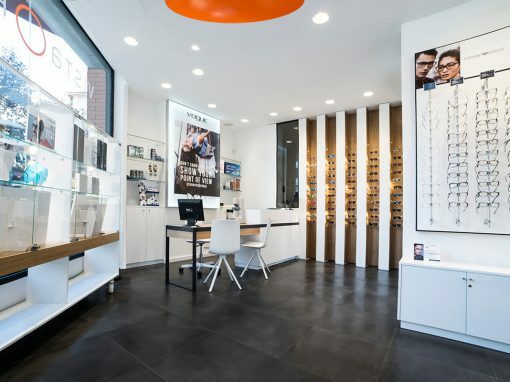 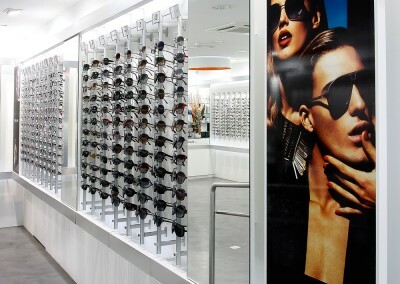 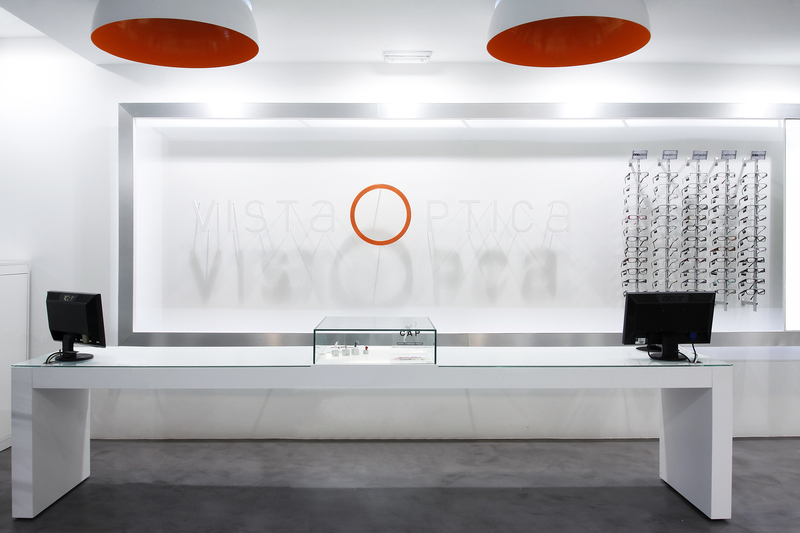 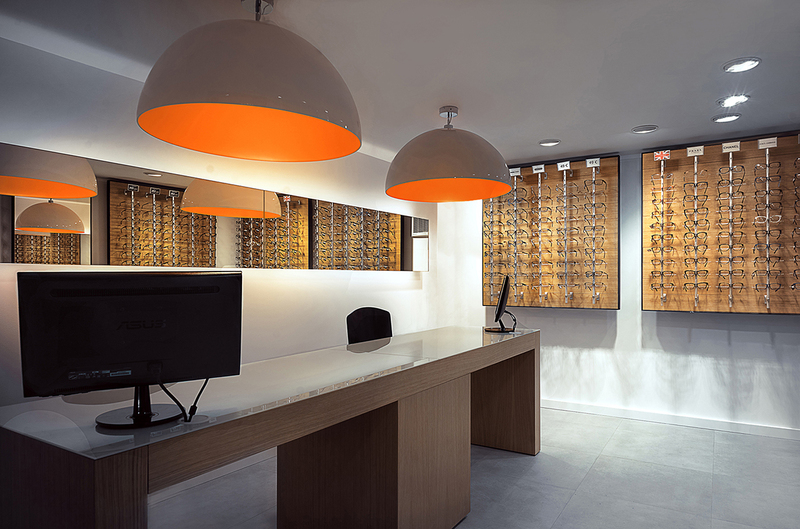 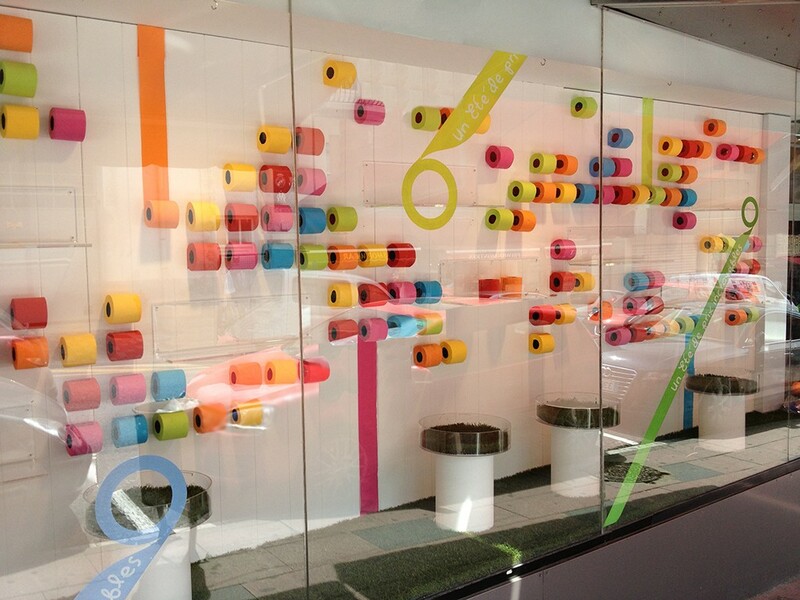 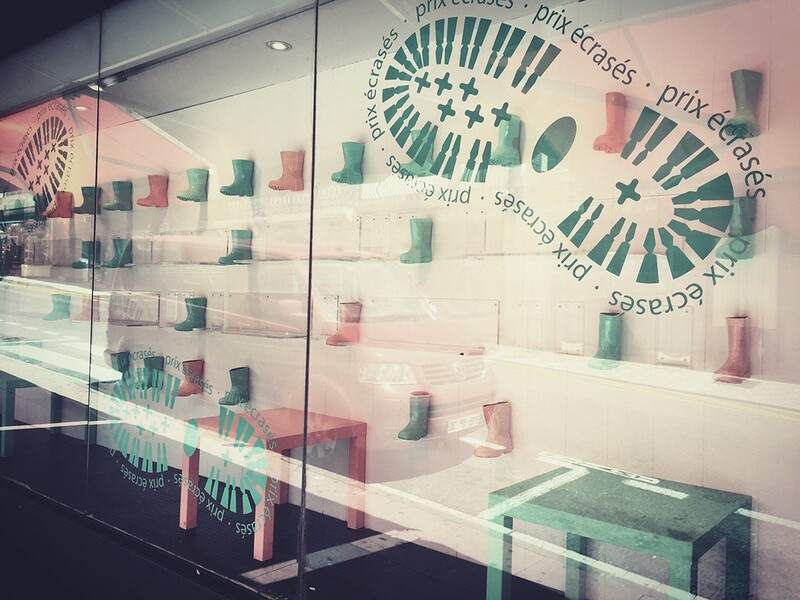 A new refurbishment for Vista Optica at its Francesc Macià location. 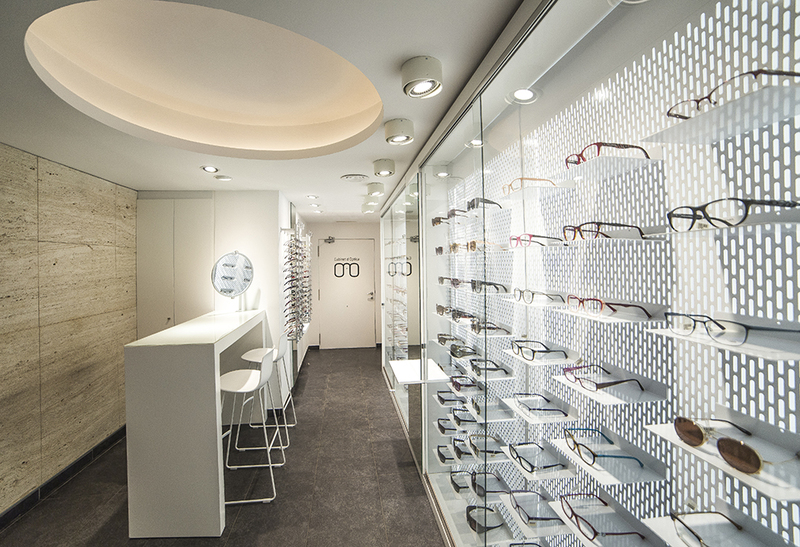 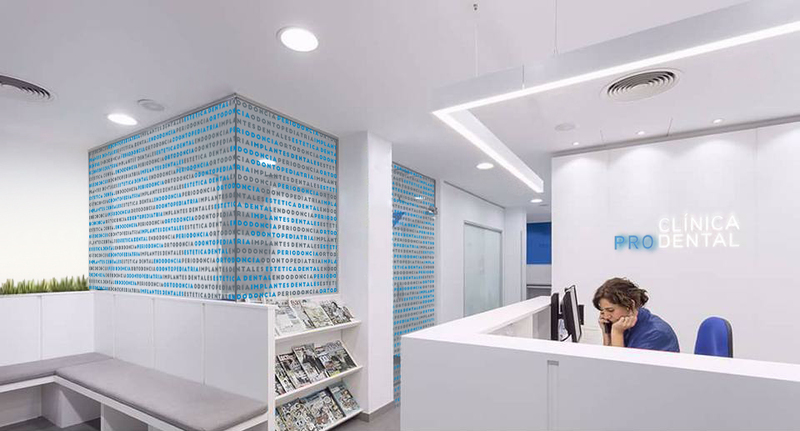 This shop has 105 m2, with a central point of sales that is illuminated by means of a row of lamps built into the false ceiling that runs up to the counter and cash register. 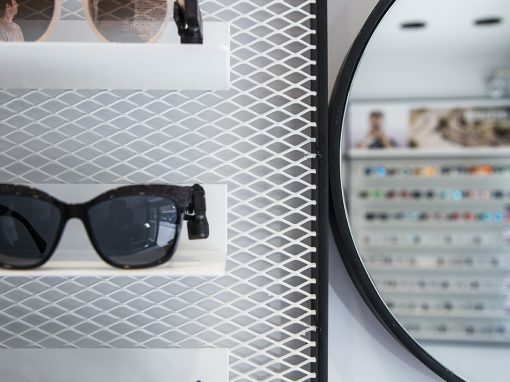 All products are framed by a lacquered rail with a supported steel face that underscores and organizes the display, while serving as a support for mirrors, display cabinets and the advertisements of different brands.